I've been in the process of sprucing up my living room for....oh ever since we moved in. This is where I'm at now, well sort of. I still need to put together the gallery wall over the couch and make a pipe shelving unit and touch up the lovely gray paint. 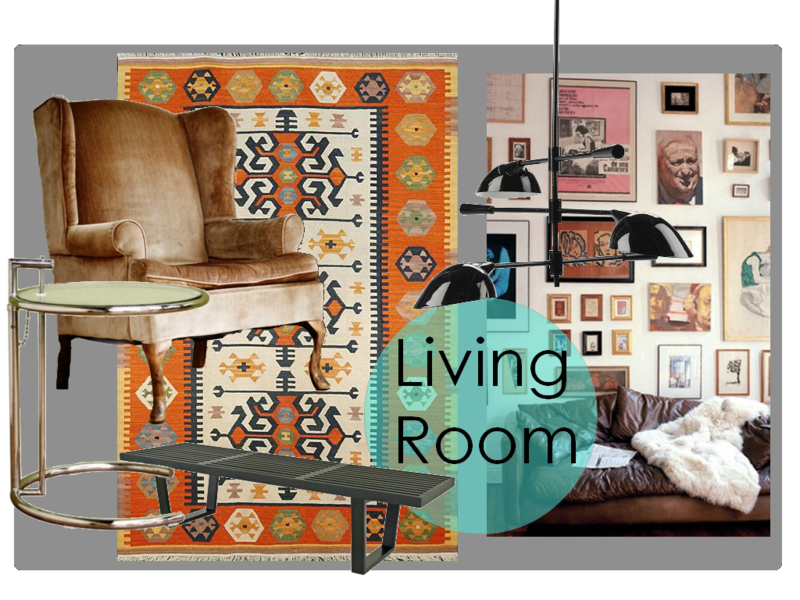 But I CAN put a fat check mark next to: Kilim, vintage leather couch, long arm chandy, slatted coffee table, pair of comfy wing backs, and a super sweet Eileen Gray brass side table.